Good news everyone! The previews for the 2018 Crossover Issue for Vs.® System 2PCG® have started! 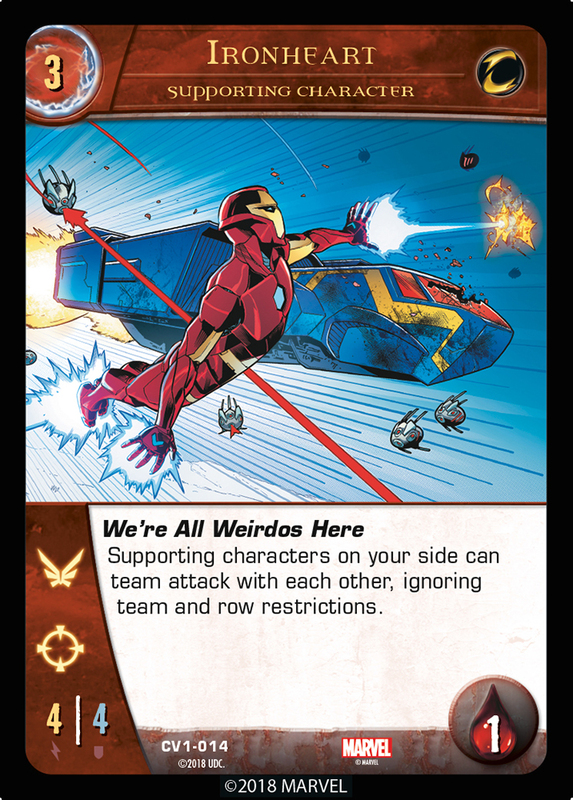 This Issue features new cards for 11 teams previously featured in the game. 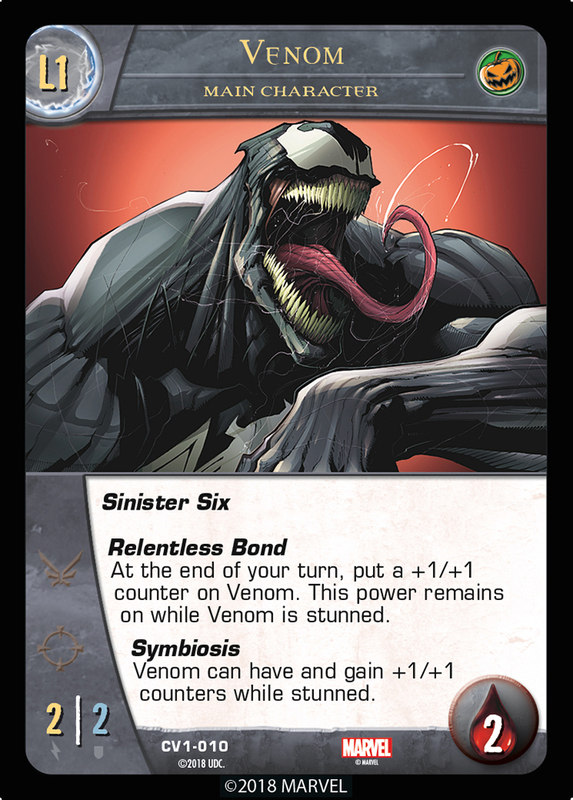 As you may know, Big Apple Battle allows characters from the following New York-area teams; Spider-Friends, Sinister Syndicate, Champions, Inhumans, Defenders, and Underworld. The Underworld team has already had an expansion with Deadpool & Friends, and the Defenders had New Defenders earlier this month. So that left us with four Big Apple teams to give some love to in the Crossover. First up, let’s take a swing at everyone’s favorite web-slingers, the Spider-Friends. 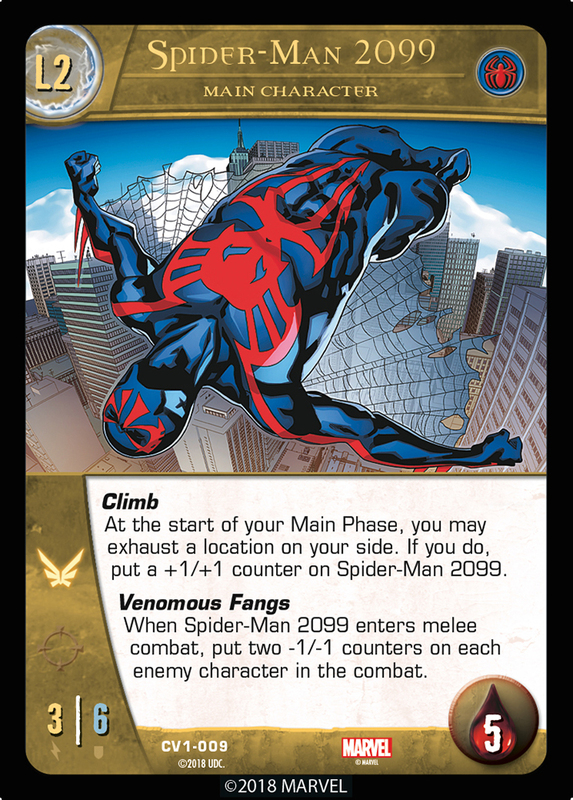 They have one of the six main characters in the Issue: Spider-Man 2099. 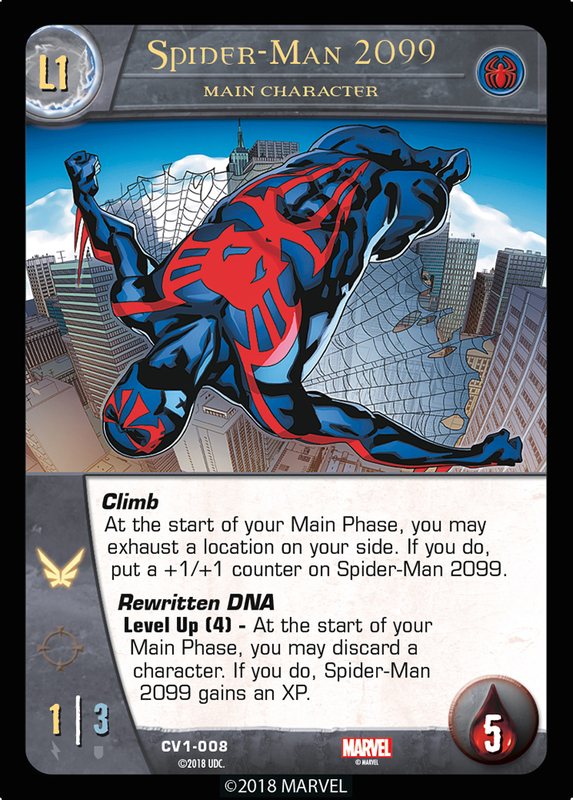 Miguel O’Hara is a geneticist in the future (2099 to be exact), who tried to recreate Peter Parker’s abilities and then accidentally has his own DNA rewritten with a spider’s. Oh, and he has fangs. Miguel isn’t the only new Big Apple main character, of course. And the Sinister Syndicate doesn’t do anything alone. 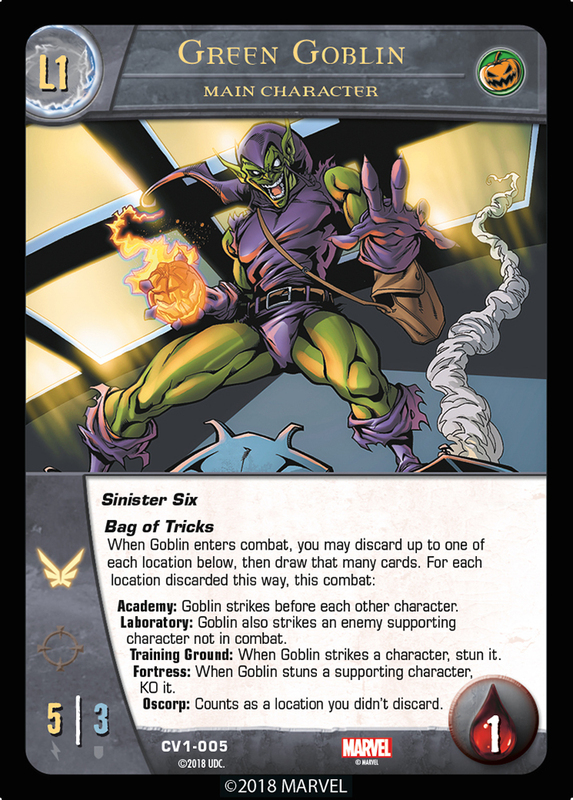 Note that when you use an Academy in Gobby’s Bag of Tricks, he will even strike before characters with, say, Ferocious. So, he will strike before every other character in the combat except another Green Goblin who has discarded an Academy! And when you discard an Oscorp, you may use it as a wild for any other location you didn’t discard! Stormin’ Norman indeed! 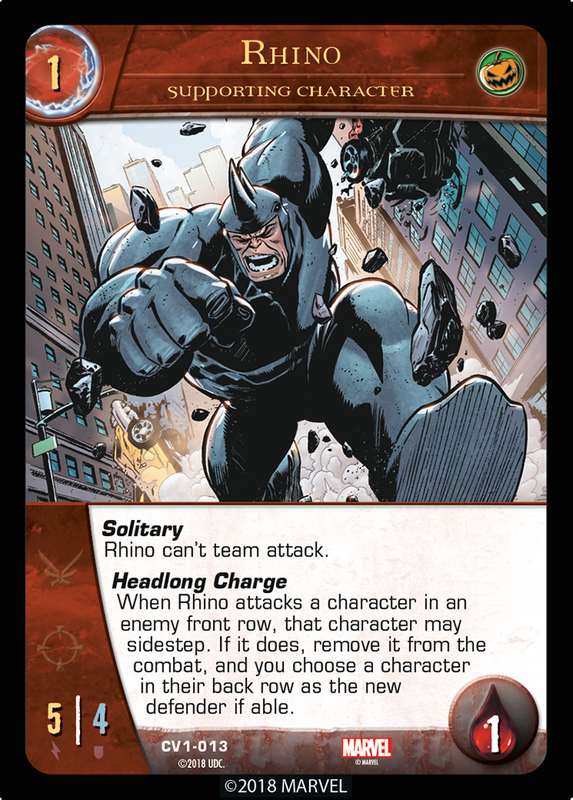 Momentum is both Rhino’s blessing and his curse. Defenders in the front row can sidestep him; this means that the defender stays where it is, but avoids Rhino just enough. The defender doesn’t count as moving. When an enemy front row character sidesteps, you’ll get to pick a new defender in their back row. But if there aren’t any, the combat will end. Sorry Rhino! Moving on to the Champions, they’ve found the ultimate team player! Her power represents people from different perspectives coming together, and it lets your characters team attack even if they don’t share a team affiliation and even if they’re in different rows. If there’s at least one melee attacker and at least one ranged attacker in the same attack, then the attack itself is both a melee and a ranged attack (I know, right?). Note that to make use of this power, each character must still legally be able to attack the defender on its own. Speaking of coming together, next up we have one of the best in the Marvel Universe at tearing things apart. 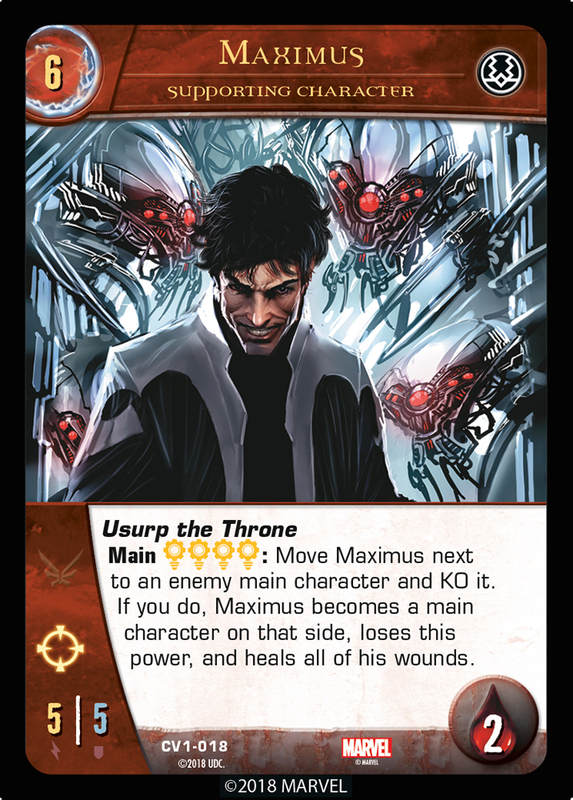 From a Captain of Jerkiness, we move to our last card today, a Captain of something bigger! Big deal, so he costs 12. So what, he has 5 health. Yippee, he is a 25/25. I just like his cool suit. 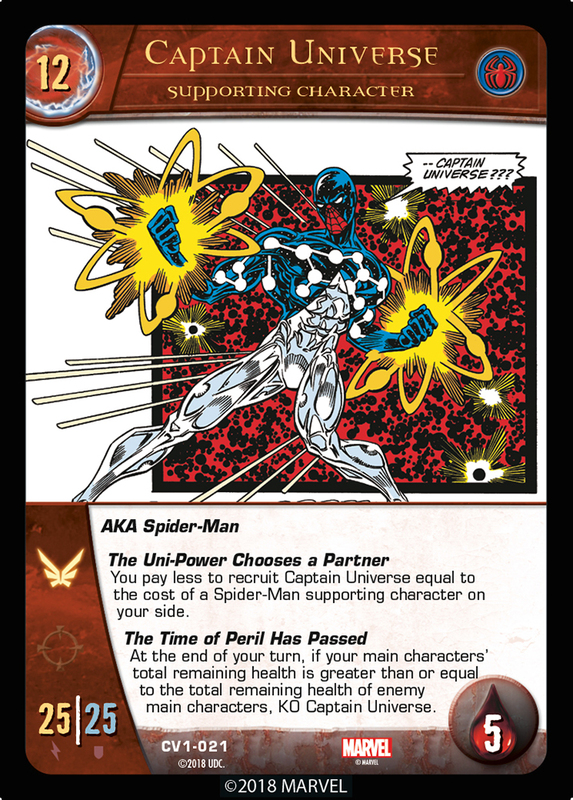 So, if you have the 7-cost Spider-Friends Spider-Man on your side, the Captain will only cost 5! A real bargain! We hope you liked your first look at the Crossover 2018 Issue! If you did, just wait until the next previews — you ain’t seen nothin’ yet!